Skin appears soft, comfortable and healthy upon awakening. 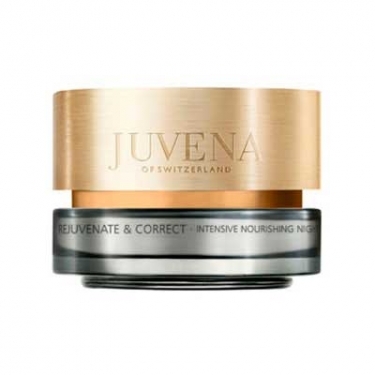 Rej & Correct - Intens Nourish Night Cream is a Juvena intensive moisturizer recommended for skin that feels uncomfortable, rough and very dry or dry. 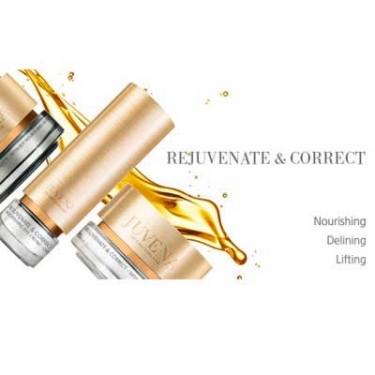 This formula was developed with SkinNova SC technology to improve the quality of the skin and rejuvenate the face, correcting the depth of lines and wrinkles with the Deliner Complex ?. This rich and indulgent texture formulated with a vitamin complex stimulates cell renewal and combat free radicals. Contains the moisturizing properties of beeswax for increases skin's ability to retain hydration promoting a healthy, luminous awakening. Provides utmost comfort and softness to dry and dehydrated skin. 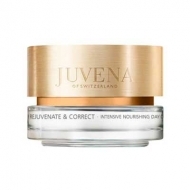 For bests results partner with the Rejuvenate & Correct Day cream.